III. Board Members in Attendance: Ritenburgh, Grelson and Glenka. Members: Shawn Stankowitz, Jennifer Stankowitz, Darlene Rich, Debbie Roberts, Debbie Filter, James Morrill, Tammy Morrill. Guests: Tam Boeve, Doyle Holmes, Jered McClure. IV. Reading and approval of August and September minutes. V. Borough Assembly Report: Recently elected Borough Assembly representative Tam Boeve. (Tam Boeve is seated on Monday). The Transportation Ordinance came before the Borough Assembly. Assembly did not pass-vote split 3-3. Changes are to be made to the number of trucks per day. Planning Commission has 90 days to look at documentation-existing and any submission, regarding the number of logging trucks to be allowed each day. Also brought up at the Assembly meeting was a lack of updates on the Chijuk logging project (Oilwell Road); it is on hold indefinitely. VI. TCCSA CIP4 Report: Final CIP#4 report. Final expenses: $6300.00 for parking lot completion and road improvement, $38.53 sewer line insulation. This project is complete. No more CIP money is forthcoming. VII. Treasurer’s Report: September activity: Ck #223: $2.42, for postage; ck #224: FY2017 CAP grant fund disbursement: TCCSA Operating Costs- $10,000.00; ck #225: FY2017 CAP grant fund disbursement Upper Susitna Food Pantry- $2,900.00. Dividends: 9/30/18: .04 to checking & .01 to savings. No banking activity in October. Checking: $581.21 & Savings: $25.38 = $606.59. TCCSA Operating Costs – $13,500.00. Total spent: $13,500.00. $0 remaining. TCCC Operating Costs – $1,000. No current activity. $655.39 spent. $344.61 remaining. TCCSA Operating Costs- $10,000.00. Current activity: $1,150.28. $8,849.72 remaining. Upper Susitna Food Pantry- $2,900.00. Current activity: $92.74. $2,807.26 remaining. Correspondence/Current Mail: Public notice of AGDC Board of Directors Meeting; Mat-Su Planning Commission Agenda and E-Packet (mail was sent to members by email). MEA is near the end of their commitment to appear at each community within the area to inform them of local projects that might be upcoming or ongoing, to answer any questions and pass on information. 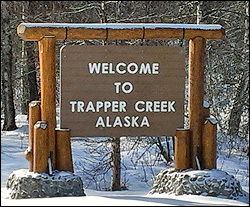 Trapper Creek-no major events here. Recent outage: 250 people outage caused by trees-typical cause is trees. The nearest MEA shop for outages is Big Lake. On year 6 of a 7 year cycle to clear trees that in the right of way and are in direct contact with the transmission lines or in danger of being in direct contact (referred to as “Danger Trees”). MEA area is 4,300 miles- an area the size of West VA. MEA prioritized areas for right of way clearing and it was completed in 6 years, not 7. Trapper Creek was cleared 2 years ago and will be done again 4 years (but report any trees that fall into the “danger tree” description). Clearing was also done near the “Y” that should also help prevent outages. People are encouraged to using the Smart Hub Application for cell phones to report outages, check your individual usage, etc. Rates: recently was the time for quarterly rate adjustments. There was a rate increase. It is roughly 2%, just under $2.00/month for bills. It is common for rate adjustment increases at this time as this referenced quarter was part of summer when electricity is not being sold. Elections: April, 2019 is an MEA election at the Annual Meeting. Bill Kendig (a Wasilla realtor) is the current Susitna West District At Large Representative and this position is up for re-election. A volunteer position on the election committee is also available. No representation this far north for either position. Contact Cassie Campbell for more information and details regarding both positions. Village Safe Water Program (VSW): Ritenburgh spoke with Kristie Parsons today and there is nothing to report at this time. Board discussion of completing and filing the Application to Purchase regarding the land on Devonshire Road. FY2017 Project Proposals update: CAP Funds were received from the Borough and dispersed to the 2 project proposals: TCCSA Operating Costs and the Upper Susitna Food Pantry. Mat-Su Community Councils for Public Safety (MSCCPS) update: There was no Public Safety meeting on October 17, 2018. FY2019 Neighborhood Watch Program Mat Su Borough Grants: $50,000 was divided among 17 area Community Councils. 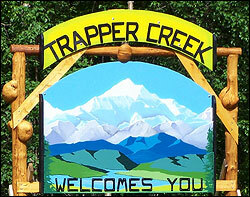 Trapper Creek Community Council will receive $2,941.17. A final narrative report after funds are used is to be submitted stating the effectiveness of the program. FY19 State of Alaska Community and Neighborhood Watch Grants: $75,000 grant to be split among applicants. Discussion of the grant parameters and requirements to submit the application. Grant application deadline is December 1, 2018. Appointment of New Treasurer: Council previously received the resignation of the newly seated treasurer. Grelson made a motion to have Glenka, TCCC Board member, be seated as the TCCC Treasurer. Ritenburgh seconded. Motion passed unanimously. Glenka made a motion to remove Ralph Kolbeck as a signer on the MVFCU accounts and add Paula Glenka as a signer on the TCCC’s accounts. Ritenburgh seconded. Passed unanimously. Board appointed James Morrill to the TCCC to fill the open board seat. TCCC will file a Statement of Change to the State of Alaska with the current Board members; and submit the recently seated Board to the Mat-Su Borough. October 2, 2018 Election Results: TCCC congratulates Tam Boeve for becoming our new Borough Assembly representative. Vern Halter was re-elected as Borough Mayor. Community Development Block Grant Program (CDBG): Email with CDBG application was read and reviewed. XIII. Date of next meeting scheduled for November 15, 2018, 6:30 pm. XIV. Meeting adjourned at 8:49pm. This entry was posted in Meeting Minutes on October 31, 2018 by Chris Boone.